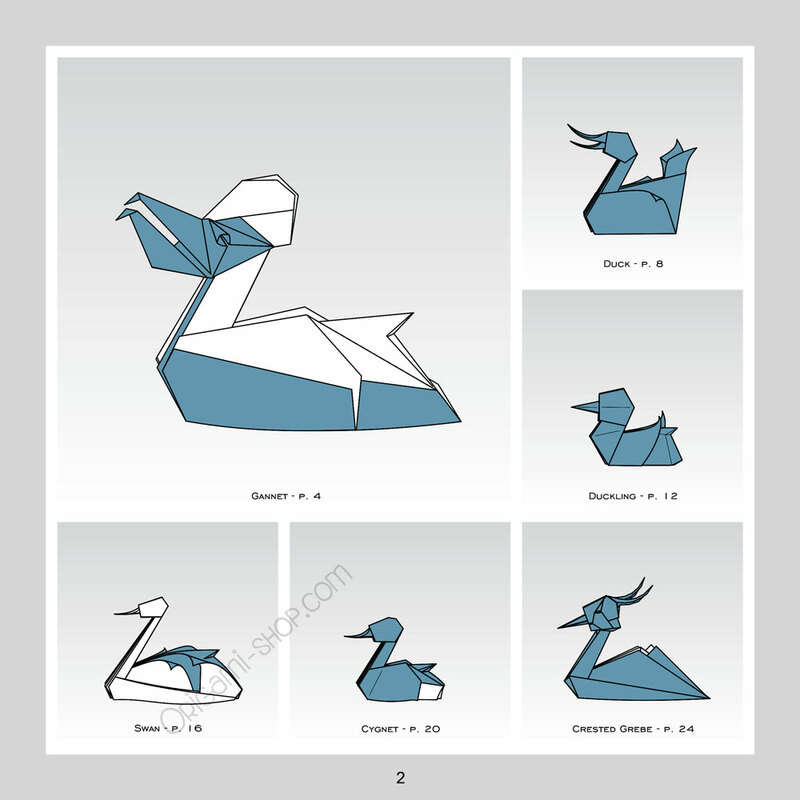 "There are several ways to invent origami models. One is to find the exact crease pattern to realize the subject. another way is to change the folding sequences of previous models. 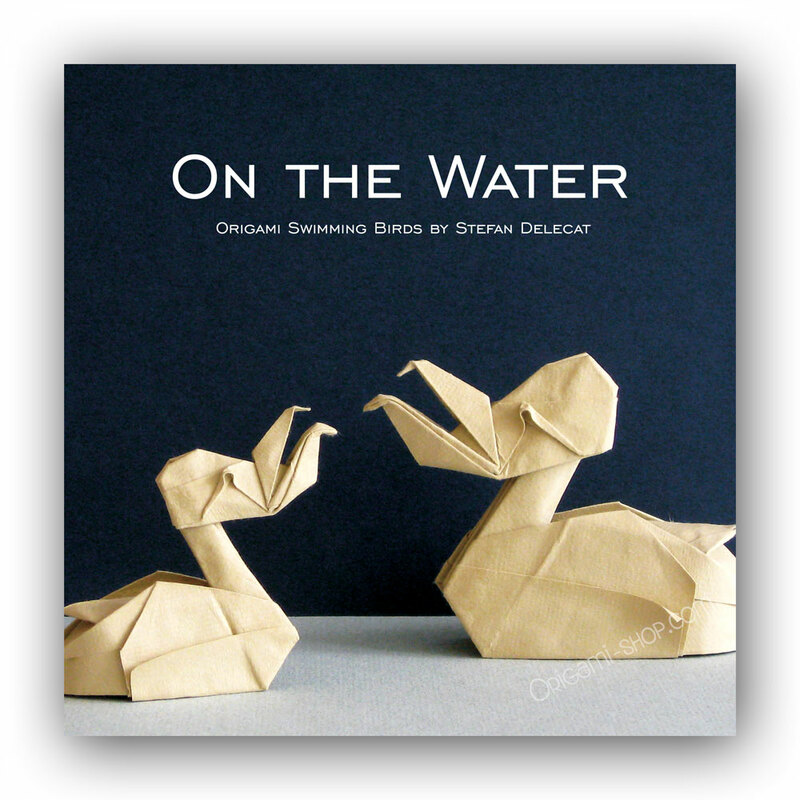 The latteer gave rise to the models in this collection. 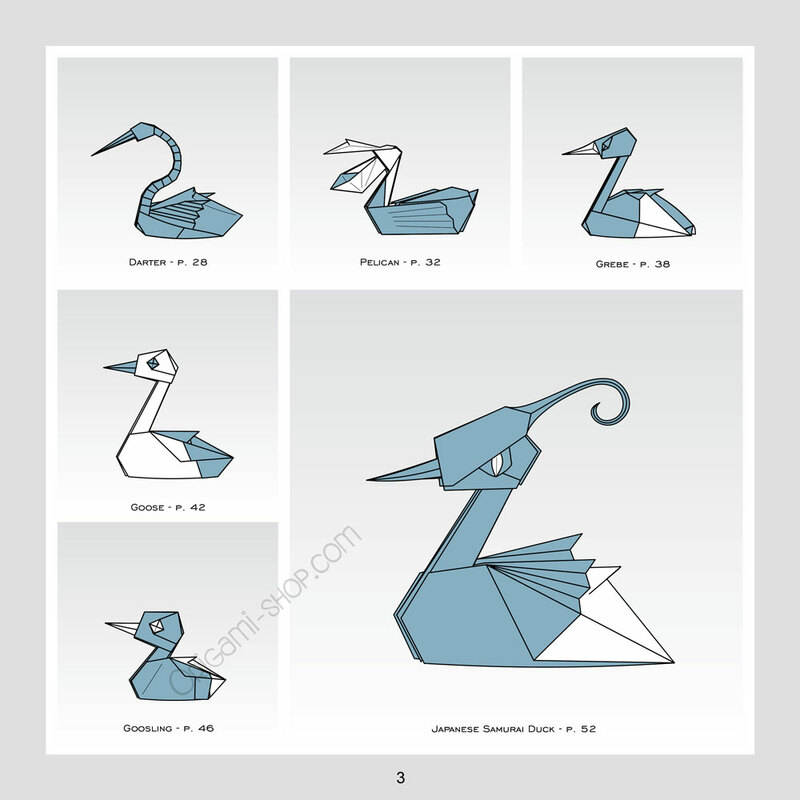 So a variety of new swimming bird designs evolved in my hands when I noticed the hidden possibilities by enhancing the instructions of a common simple duck (see the diagram of the cygnet). Some of them resemble real animals. Others do not but look so funny or bizarre that they are worthy of presentation. Hope you enjoy this playful flock. 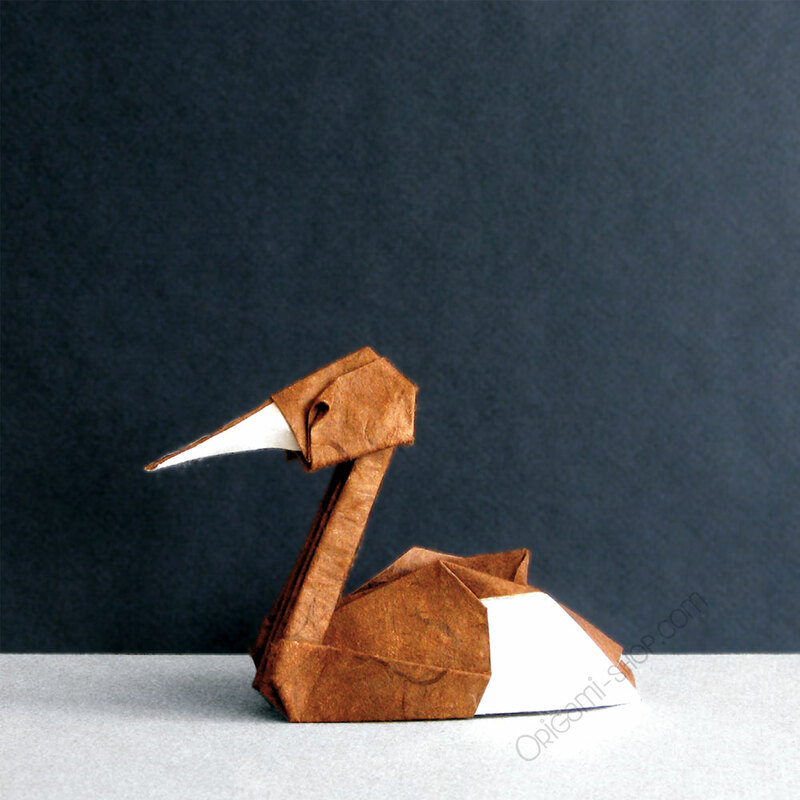 Paper : The duckling and the cygnet can be folded from standard 6 inch (15 cm) origami paper. For the rest, I recommend at least 6 inch paper (20 cm). 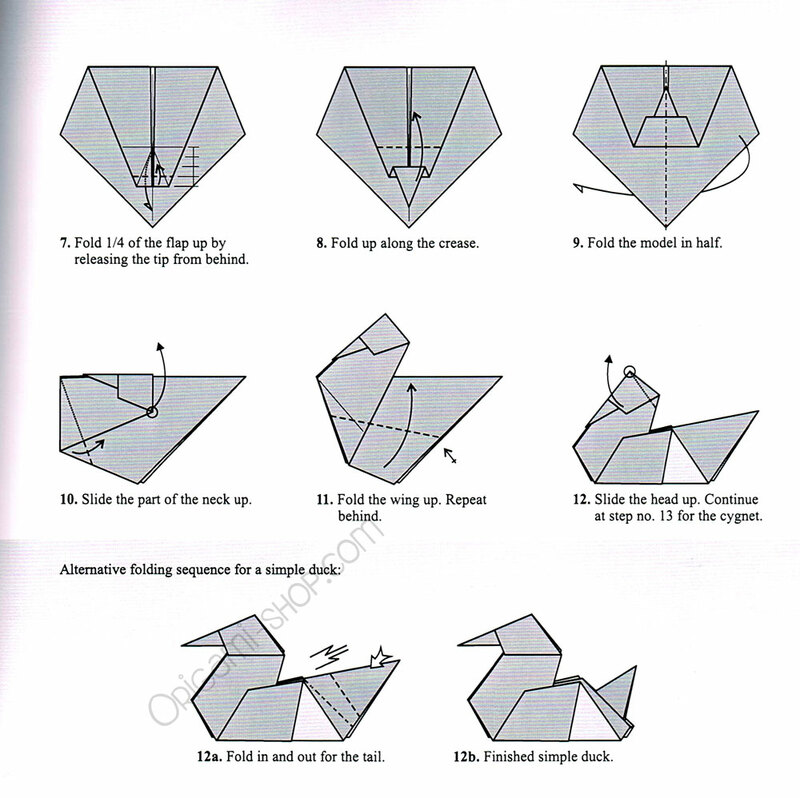 Because most of the models will tend to unfold (due to the sink fold of the neck) best results are obtained with foil-backed paper or applying wetfolding techniques on 12 inch paper or larger (30-35cm)." Après avoir découvert Folded Skyline du même auteur, cest une autre belle découverte thématique... (Lire la suite). Les modèles sont parfois compexes mais interessant dans la démarche. Petit livre très intéressant techniquement, accessible aux plieuses et plieurs à l'aise dans les ... (Lire la suite)pliages de niveau intermédiaire (** ou ***). Une douzaine de jolis modèles d'oiseaux aquatiques, très amusants à plier ... et à voir !